Bristol Inner City wish to provide coaching opportunities to interested candidates who have a passion for football and being a positive role model. BIC have worked with Southampton, among other professional academies, in order to create an elite level training syllabus in line with EPPP standards. 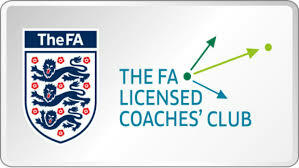 At BIC coaches in development are given every professional level opportunity to reach their goals. We are building something special at BIC, but we can only continue to do that by developing the next generation of coaching talent and community leaders. Atop of the regular weekly coaching sessions sit opportunities with further invites from elite professional academies, which help challenge players and coaches as we exchange ideas and methods. Interesting in Coaching with us? If you wish to request a coaches trial with Bristol Inner City, please fill in the form below and someone will contact you with further details. Fields marked with an asterisk are required. You will receive a confirmation email. Electronic photographs are acceptable. Formats accepted PDF, PNG, GIF and JPG. Limit 2MB.